The southern mole cricket – Peak flights generally occur from April to June, with an additional minor flight around November. In July in south Florida, a second major flight typically occurs. The short winged mole cricket – Occurs mainly in coastal regions. Prefers sandy soils. The tawny mole cricket – The tawny mole cricket keeps busy. It has one full generation annually. It’s peak flights occur in March through May and they take a small flight in the fall. If you see mole crickets in flight after December, it will most always be the tawny mole cricket. After December, nearly all mole crickets in flight are the tawny mole cricket. The tawny mole cricket’s eggs hatch in April through June and then the nymphs develop for five months and become adults. As you can see, mole crickets are active and problematic year-round in Florida. 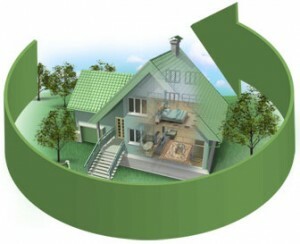 This is why an integrated pest management and lawn pest control is recommended. Mole crickets can fly, except for the The shortwinged mole cricket. Their hind legs are not conducive to jumping. Mole Crickets Front Legs Act as Tiny Little Shovels. Mole crickets’ front legs act as tiny shovels. They can dig up and damage an incredible amount of turf. In fact, the Florida mole cricket is responsible for most of Florida’s turf destruction– more then any other pest. When it comes to mole crickets it’s wise to have a licensed pest control technician to examine and determine the level of damage you have first so we can determine what measures should be taken to control them. A long term integrated pest management program should be utilized. Call Bay Area Lawn & Pest Control and we’ll get rid of those lawn destroying mole crickets. 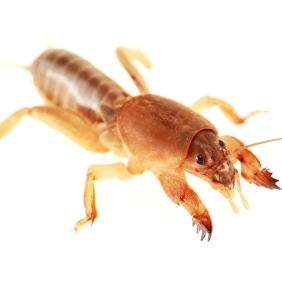 Get a Quote for Mole Cricket Control in Land O’ Lakes, Lutz, Trinity, Wesley Chapel, Odessa or Oldsmar.